Motorcycle-riding gunmen drove by and killed a female police officer in Manila's Sta. Cruz district late Sunday night, Super Radyo dzBB's James Agustin reported. 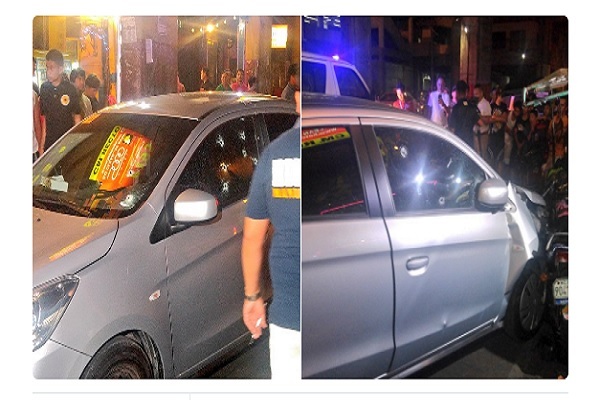 PO1 Jorsan Marie Alafriz was driving her car along Recto Avenue and was on her way to work at the Barbosa Police Community Precinct when two suspects drove up and shot her to death. Alafriz, whose car crashed into several passenger tricycles after the shooting, was rushed to hospital, but she was declared dead on arrival. Police investigators recovered over a dozen 9-mm casings from the crime scene. Meanwhile, a witness who did not see the shooting heard the gunshots and saw Alafriz's car crash into the tricycles. Alafriz was new to the Barbosa Precinct, having been assigned to the PCP five months earlier.